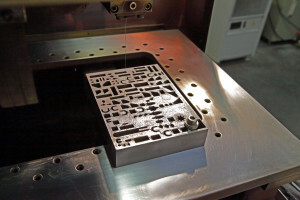 Die Co. keeps all phases of manufacturing in-house. Our Quality Management System is certified to the ISO 9001:2015 standard. See our certificate. That helps us ensure every detail of your product will meet your specifications – as well as our own high standards for outstanding quality. 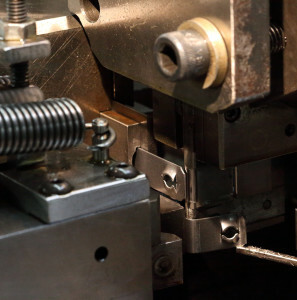 Just tell us what you need a metal fastener to do, and we’ll design a product that will work. 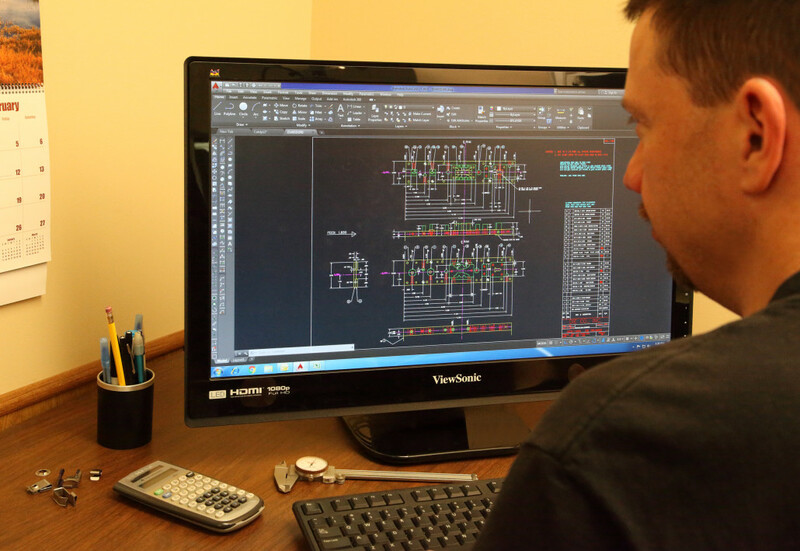 Our skilled engineering professionals can take a concept, design a part and provide prototypes for testing in your application. 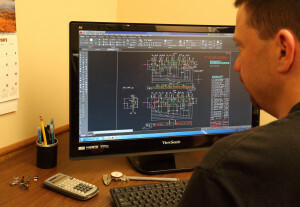 By combining careful listening with decades of experience, we can save you from wasting time and money on ineffective fasteners. 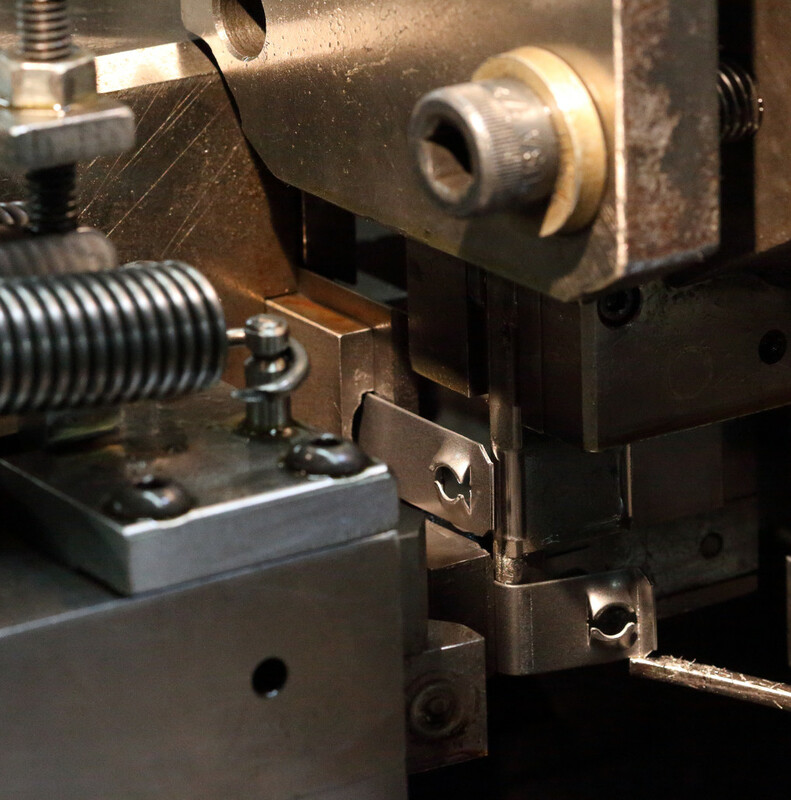 We design, build and maintain all of our own tools and dies. Thanks to our mastery of wire EDM equipment and unparalleled understanding of spring steel, we guarantee tolerance accuracy and maximum productivity. We have 60 fourslide machines, with capacity ranging from .010 to .090 thick and .090 to 2.75 wide. Computer-assisted statistical process control (SPC) ensures tolerances are maintained throughout the entire run. 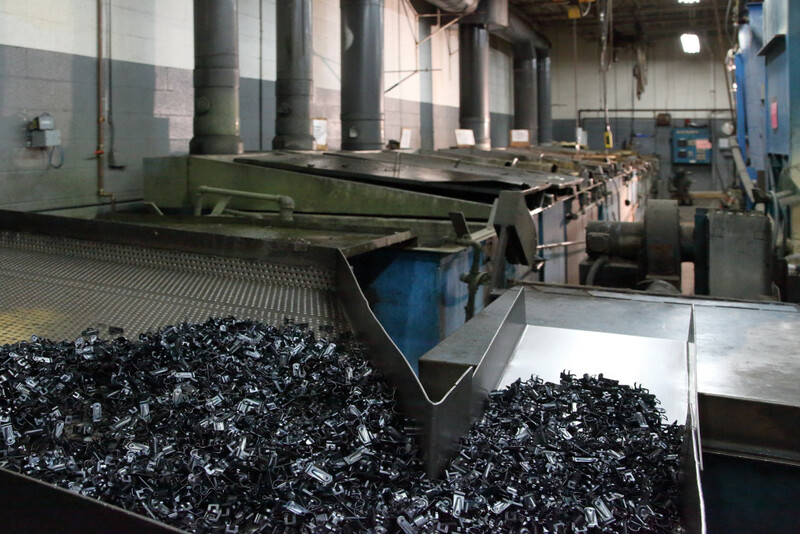 As a result, machines run faster, tools last longer and tolerances are tighter. That means higher-quality, lower-cost parts for you. We’ve been heat treating in our three austemper furnaces for more than three decades. 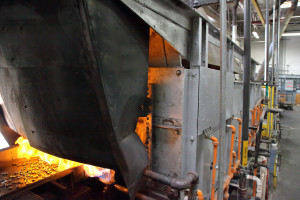 Heat treating increases the toughness and wear-resistance of steel. That means we can use thinner steel – at lower cost to you – without sacrificing strength or compromising fastener quality. Choose a finish: soluble oil, phosphate & paint, zinc electroplate or many more. We have a wide variety of finishes in-house and additional options close by, through strong local partnerships. All finishes are salt-spray tested in our lab to ensure durability. We even maintain our own distribution warehouse. Keeping your products on-site guarantees they will ship on time, every time.